Chocolate, the “food of the gods.” It has been a common ingredient when it comes to creating desserts. But, how often do you think about cooking with chocolate as part of a savory entree? When you think of chocolate, most will come up with ideas for chocolate chip cookies, rich brownies or even the camper’s favorite; s’mores. While chocolate is typically included in a restaurant or food truck dessert menu in some countries adding chocolate or cocoa to savory dishes is as common as a teaspoon of salt or a dash of oregano. Though a rare ingredient in most American dishes many Latin and European chefs maintain the flavor of chocolate in main dishes should be more commonly used with traditional seasonings. The idea that chocolate has existed in the New World since at least 600 BC has been challenged by the discovery in the Yucatan of a 2,500 year old plate with traces of chocolate residue. Historians have even found proof that cocoa beans were used as a form of payment as well as a unit of calculation around 1000 A.D. Following that period it was found that all taxes were paid in cocoa beans to Feudal Aztecs. When Cortez made his way to Mexico in 1519, he noticed the popularity of chocolate as a drink, either sweetened or thickened with cornmeal. He took it back to Europe and the sweetened version became immensely popular. The refining and production of chocolate became more extensive over the next few centuries with the creation of the cocoa press and chocolate bars. These improvements in chocolate production has created a worldwide 50 billion dollar industry. Chocolate is created from cacao beans. The seeds from the Theobroma cacao tree which is a tropical plant that grows only within 20 degrees latitude of the Equator. Chocolate begins with the harvest of the cacao pods. From there the pods are opened to reveal it’s seeds. The cacao seed is naturally bitter and must be fermented, dried, roasted and crushed to make cocoa nibs. The essence of the cocoa bean that’s full of cocoa solids and cocoa butter. The nibs are then pureed with sugar and cocoa butter and liquefied. At that point, the liquid chocolate undergoes a process known as tempering, which entails raising and lowering the temperature, resulting in a distinctively smooth, solid and crisp texture upon cooling. Finally, the chocolate is poured into molds, wrapped and shipped out to consumers around the world. Chocolate, as most of us tend to think of it, is the rich, dark, seductive ending to a great meal. But that is not how it started out. Mexico. Mexican cultures still embrace cacao in one of their noted sauces, mole. Mole is a dark, rich, traditional Mexican sauce. Mole varies in color and flavor based on the recipe or what the cook has in their kitchen, but it’s generally made with onion, garlic, chilies, ground seeds and bitter chocolate. The chocolate adds depth to the sauce without over sweetness, since unsweetened or Mexican chocolate is used. Mole sauce is usually served with chicken. France. The French use chocolate occasionally in duck and wild game dishes. Spain. Spanish culture offers stuffed squid with chocolate sauce. In other cases we found that the addition of chocolate in Spanish cuisine is used to thicken whatever dish to which it is added. Italy. Italian chefs began experimenting with chocolate, adding it to many savory dishes as early as the 1500’s. Among the most classic and simplest uses of chocolate in savory food is as a topping to certain pasta dishes. Chocolate can be incorporated into fillings for ravioli, even the pasta itself can be made with chocolate. A popular Italian savory chocolate dish is agrodolce. It is a sour and sweet sauce, made from reduced vinegar seasoned with dark chocolate. Cooking with chocolate adds a toasty flavor, deep chocolate aroma and infuses a silky finish to dishes and their accompanying sauces. In most dishes the four natural flavors of cuisine (salty, sweet, sour and bitter) are always emphasized. Chocolate is extremely bitter and you can use it to enhance your savory menu items. Why not consider setting the mood of your menu with a different kind of chocolate dish: one that’s served at the beginning of dinner or even as the entree? Add cocoa nibs to polenta or rice. Grind a few tablespoons of cacao nibs with sea salt to make a tasty crust for steak. Sprinkle them on top of baked potatoes, salad or soup for some added crunch. 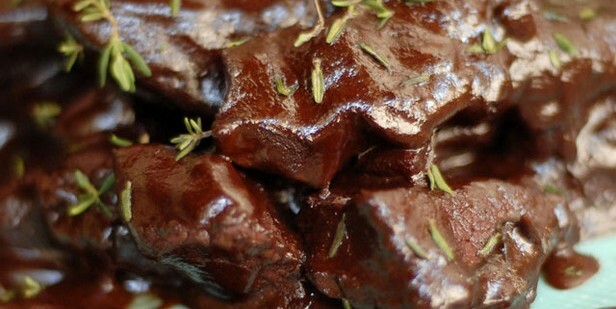 Add a square of dark chocolate to meat dishes, such as beef stew, chili, BBQ or pasta meat sauce. Include cocoa powder to spice rubs. Add cocoa powder to your favorite bread recipe. Melt and mix cocoa powder with balsamic vinegar and olive oil. Add white chocolate to seafood or cheese. 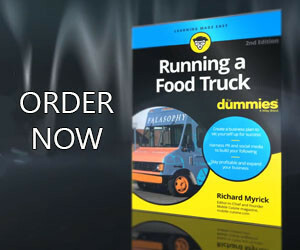 For those of us who have been lucky enough to enjoy a dish of chicken with a traditional mole sauce know just how exciting it can be when a chef begins looking at entrees that are created from outside of the box. With a little imagination, cooking with chocolate or cocoa with its natural deep flavor and silky texture in savory dishes (such as chicken, pork, pasta or even as a rub on beef) can transform the predictable into something your customers beg you for the secret ingredient included in the dish.